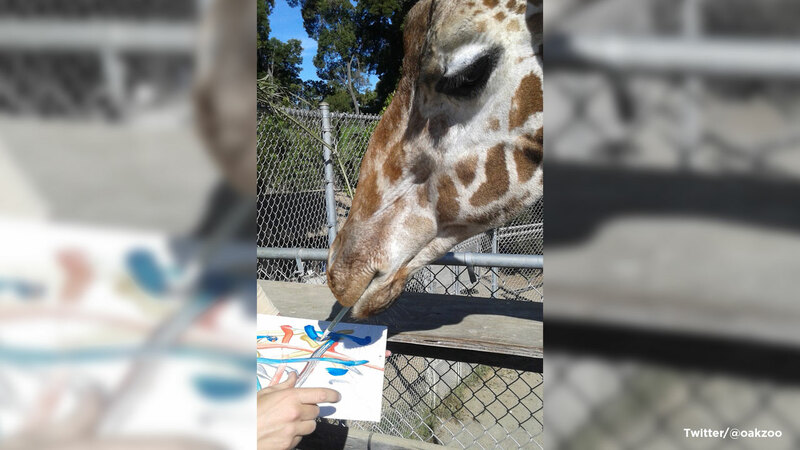 OAKLAND, Calif. (KGO) -- Benghazi the giraffe celebrated his 23rd birthday by painting a picture with his handlers at the Oakland Zoo. He's quite the artist. Ben's paintings have been auctioned to help raise money for wild animals across the world. The zoo says Ben has lived there his whole life and has learned medical behaviors that have helped him live a long and healthy life. Besides painting, Ben loves to eat absolutely everything edible.